Lush Fab Glam Inspired Lifestyle For The Modern Woman: Beauty Blogs We Love. 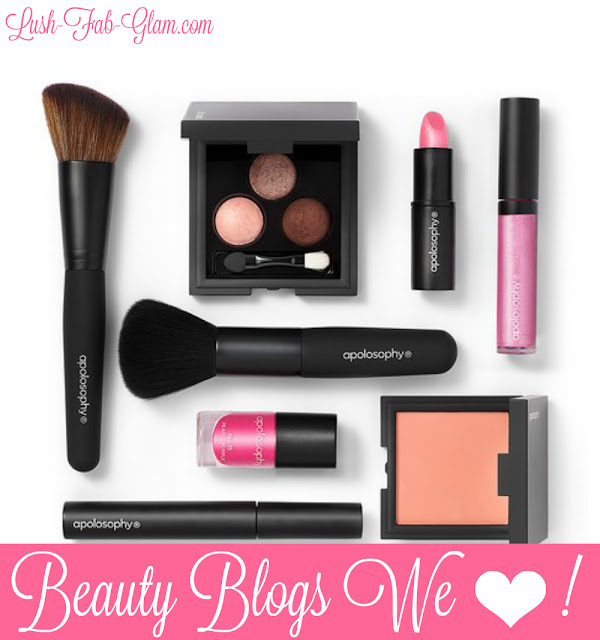 If you're a beauty and makeup lover who enjoys surfing the web for tips and tutorials to help you get dolled up for a fab event or to learn the latest beauty hacks and makeup application tricks, then this beauty blogs we love list is perfect for you! Celebrity makeup artist Kandee Johnson authors a blog that focuses on makeup as well as health, wellness, lifestyle, and other related topics. She offers detailed tutorials for makeup basics that will help you follow along as she demonstrates, so if you're interested in video content, you can follow her on YouTube. Of course, she also writes articles about makeup and introduces new products that she endorses, and you'll find plenty of text-based tips and tricks, too. If you like a more personal approach in your makeup blogs, turn to I Covet Thee, a blog authored by British makeup enthusiast Alix. She covers her own beauty routines in detail so that you can better understand how she achieves her flawless skin and subtle makeup effects. She's also tuned into fads and trends, which means you can learn about the latest techniques before your friends. You'll instantly feel comfortable with Alix's relaxed, friendly writing style and inspired by her beautiful photography. Author and blogger Ty Alexander writes Gorgeous in Grey, a fantastic blog with plenty of makeup-related news and tips for the beginner. Ty has appeared on television and has served as a beauty consultant for many companies. However, she doesn't let her ego get in her way; her blog posts are relatable, unassuming, and detailed. She's even earned the title "Top Blogger" from several well-known publications, including The Huffington Post. If you're interested in other aspects of beauty, check out her blog's health, lifestyle, and fashion categories as well. When you want to know about the latest makeup product launches or how to get the right look for your next date night, turn to Blog For Beauty. It's a well-styled and well-organized blog that covers many topics, including makeup. You'll learn not only about the hottest products, but also about how to apply them appropriately. A makeup artist named Renee authors all the posts, and she includes excellent photographs to help you better understand her tutorials. She also provides advice for special events, such as weddings. The grid format and intuitive navigation you'll find at Amway's Makeup and Cosmetics blog will make sure you can find the information you need quickly and easily. Whether you're interested in going bright and bold or demure and dewy, you can find tips and techniques to help you find your ideal look. The blog also covers related topics, such as health, skin care, hair care, and vitamins and supplements so that you can better take care of your body and your skin. This blog is also an excellent place to get answers to common beauty questions in one convenient place. Despite the title of this blog, founder and makeup artist Robin Black believes exactly the opposite. She started Beauty Is Boring to combat the traditional — some would say boring — trends and best practices involving makeup and beauty. If you're a beginner who wants to challenge tradition and make your own personal beauty statement, turn to this blog for inspiration and advice. When you're first learning about makeup, you need information about more than application alone. Elizabeth Dehn (Bets) of Beauty Bets offers tutorials for cleaning your brushes, storing your supplies, and detailing other makeup topics that other blogs might neglect. The blog is an excellent resource for other beauty and style tips, too, as well as reviews of new products that have launched on the market. Additionally, Bets frequently posts about saving money on makeup, so you'll benefit from those articles as well. This beauty blogs we love list would not be complete without adding our own Beauty Essentials section here on Lush Fab Glam, where we provide you with only the best makeup and beauty tips. From advice on caring for your skin, to the hottest runway and red carpet beauty looks, to tips on the best makeup trends for each season and introducing you to fabulous skin care and makeup products through our reviews and beauty haul posts. Makeup basics can seem a little complicated, but with the help of a few experienced bloggers, you'll call yourself a cosmetics pro in no time. Check out the blogs above to learn more about your makeup options. What's your go-to-source for beauty and makeup tips? Share with us by leaving a comment below.